What Happens When You Can’t Come Home? Day 017 | What Happens When You Can’t Come Home? You experience a fire making your home unfit to live for the next 4 months. You’ll be living in a hotel while contractors are repairing and rebuilding your home. This will get pricey quick. Luckily your homeowners insurance policy comes with a coverage known as Loss of Use. Loss of Use will pay for increased living expenses due to a covered cause of loss making your home unfit to live. If you look at the Declarations Page of your homeowners policy (one of the first pages in the stack of papers your insurance company mailed you). You will see Loss of Use and a limit of coverage beside it. You may notice, some insurance companies will list Additional Living Expense instead of Loss of Use. I don’t want to tell you these two coverages are the exact same. Their may be slight differences or limitations in the fine print of the policy. Every company may be slightly different. Double check with your agent. The other thing to take note of, you will notice some insurance companies will list a limit of coverage next to Loss of Use or Additional Living Expense. While other companies will put the letters ALS on that line. ALS stands for Actual Loss Sustained. 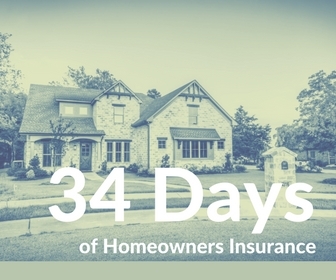 Although the insurance company may not put a dollar amount here, know there may be a limit on how long your homeowners insurance company may provide coverage. They may put a limit of 12 months. After that you would be responsible for the increased living expenses.